Enjoy the best inspirational, motivational, positive, funny and famous quotes by Amy Stephens. Use words and picture quotations to push forward and inspire you keep going in life! 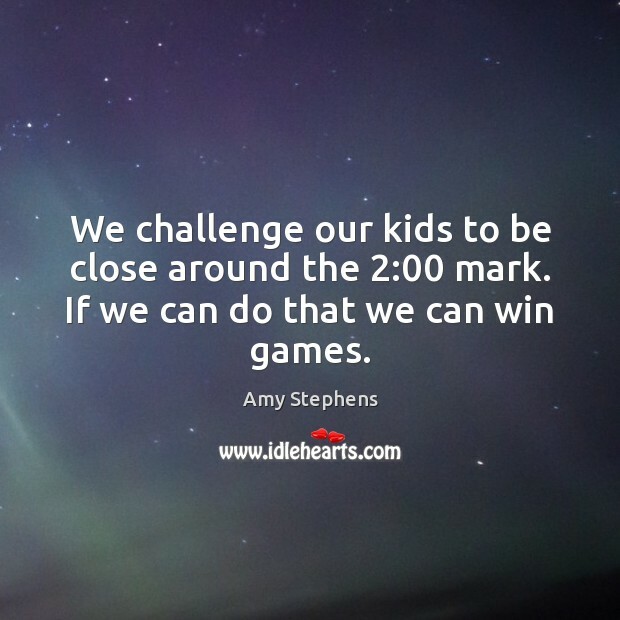 We challenge our kids to be close around the 2:00 mark. If we can do that we can win games.